A very profound event is happening on October 5th in the astrological world. 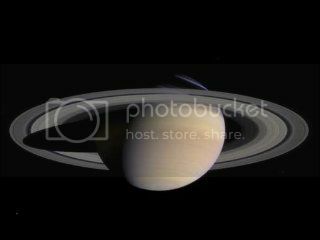 Saturn will end it’s stay in Libra and move to the sign of Scorpio. And when this happens, it will create a mutual reception. Saturn will be in Pluto’s sign (Scorpio) and Pluto is already in Saturn’s sign (Capricorn). For you, this creates empowerment possibilities. Libras can also breathe a sigh of relief while Scorpios need to look at the possibility of restrictions. Keep in mind that Capricorn and Saturn are malefic planets. So looking for how they will work in a beneficial manner takes a little digging. Saturn and Capricorn rule the 10th House of Career and Scorpio and Pluto rule the 8th House of Other People’s Money. If you have natal planets that indicate this or if you just have a natural affinity for these fields, you will have extra energy behind you. Look to banking, taxes, stock brokering, cashiering and accounting for growth industries where you can find success. Insurance, death services, all counseling, but especially weight and drugs, are areas for job opportunities. But more than that — progress. If you want to make a difference in people’s lives, here’s where you will find opportunities. For a private consultation, contact melanie@xtrology.com. And look for us on Facebook https://www.facebook.com/xtrology.